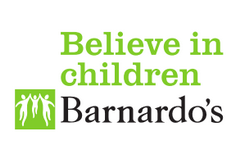 We’re proud to have Barnardo’s as our charity partner. In 2019, we’re aiming to raise £20,000 to help vulnerable young people by holding charity raffles during our Awards ceremonies. £20,000 can pay for 200 1-1 counselling sessions for young people in the UK. Run by specialist services throughout the UK, these sessions help children affected by sexual exploitation to process their trauma. 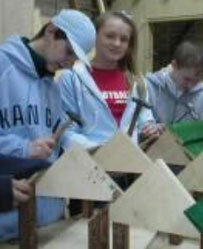 Barnardo’s can give these children a chance to move forward, regain their self-esteem and get their life back. As well as helping young people to gain qualifications (GCSE equivalents) and help them get into Further Education college, employment, and apprenticeships (with a success rate of around 90%), Barnardo’s workers help young people develop their personal social skills and grow their self-esteem. They provide young people with the vital counselling and emotional support they need to deal with their complex and often traumatic backgrounds and complicated lives. They liaise with other professionals on behalf of young people, working with schools and families to improve support networks, which are vital to ensuring continued progression and sticking with goals. It’s not just qualifications, however – Barnardo’s helps young people come to terms with their issues, helping them to cope and stay the course. If we raise £20,000 this year, we can pay for 200 individual counselling sessions or provide a package of counselling for 20 young people. By purchasing raffle tickets at our events, you can help us make a real difference to young people’s lives. Or if you’d rather donate today, please click the button below.